Beaverslide Dry Goods: 12 oz. Honey Bear - New Crop! 12 oz. Honey Bear - New Crop! 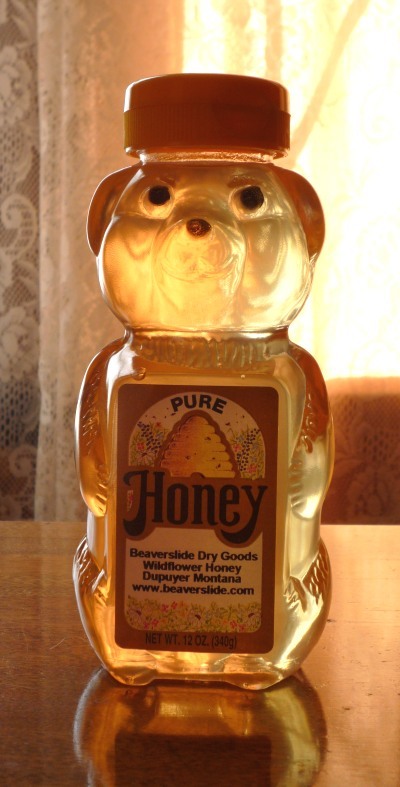 A honey bear squeeze bottle, filled with 12 oz. of our premium, artisanal wildflower honey. Each bear has an inner seal in the flip-top lid, to prevent leaks and each is wrapped in bubble wrap, for safe shipment. This has been a stellar year and our honey is of exceptional quality, very clear with delicate flavor. *NOTE: Some countries have restrictions on imported food, therefore we are sorry to say that we cannot ship this item to international addresses.